Update: I had the wonderful opportunity to share my story on The Alain Guillot Show. Alain is a personal financial coach, blogger, and podcaster who is one of the most approachable voices I've encountered in the online personal finance space. He also asked me just about every question you should be asking a financial planner, and got me to open up about some things people don't hear unless they speak with me! I was confused. Life insurance? What “financial advisors” do is self-descriptive…isn’t it? They, well - give financial advice, don’t they? Like a business consultant or attorney, you pay them an hourly fee or something similar. And then they provide advice that will help you. Right? Not necessarily (as I was soon to discover). In my naiveté, I didn’t realize how many people have had negative experiences with financial advisors. I was pursuing a degree in family finance and personal financial planning and wanted to be a financial advisor, but I hadn’t really scoped out yet exactly how that worked. So I did what everyone told me to do - go find some financial advisors and talk to them. And hey, maybe it would eventually lead to my first job opportunity. Up to bat, pitcher takes his stance. I walked up to the first booth on my list. There was a guy in his 40s and a younger guy in his late 20s. They greeted me, and gave me the chance to introduce myself. I explained that I was studying in registered university programs that would qualify me to take the Certified Financial Planner™ and Accredited Financial Counselor® professional exams upon graduating. Obviously, I was the one that didn’t know anything, but I wanted to understand. I asked them how it could hurt for me to try to become as trained and knowledgeable as possible in personal finance and investing before, you know … holding myself out as someone who could advise others about those things. That left a bad taste in my mouth, to say the least. I moved on to the other companies, hoping for some validation or commendation on my chosen major, but they all sang the same tune. Some were less abrasive about it than others, but I got the same message. It didn’t matter what I studied - business, philosophy, history, nutritional science, psychology, or physics - I just needed to be smart enough to get a life insurance or stockbroker license (“not that hard, either. I passed with little study”) so I could sell products to make income. “That’s what a job’s for - to make money”. Whenever I expressed that I really wanted to be knowledgeable before advising others on their finances, I kept hearing that I was too concerned and that I could make money without. What was important was that I was going to be selling products “that help people and betters their lives”, so I should stop being so worried about the fact that there would be a lot of pressure to always recommend what will generate a commission for me and the company, instead of what’s best for each client. Seemed kinda backwards. But I wasn’t discouraged yet. Maybe those at the career fair were just bad apples. Swing and a miss. Strike #1. After the career fair fiasco, I decided to try another way of getting to speak with people in the profession. I asked my financial planning professor for the names of some alumni who were working as financial advisors, and I called them to see if they’d let me interview them over lunch, on me. Luckily, I found three of them who kindly accepted my invitation. Two of them were from nationally well-known insurance companies, and one was from a very recognizable broker-dealer (stockbroker / mutual fund sales company). These professionals were a step more in the “I care about doing a good job” direction. At the very least, they had decided to get some legitimate training in personal finance (different from business finance) in college and then moved on to the jobs they had. Made contact, but foul ball - Strike #2. I realized that if there was the right career path for me in financial planning, I wasn’t finding it in the places I was looking. It was time to search elsewhere. I searched online for more financial advisors that I might be able to talk to. It took some time, but finally, my efforts were rewarded: a Google search for “financial advisors no commissions” eventually led me to something I had never heard of up to that point: fee-only financial planning. I learned of an organization called the National Association of Personal Financial Advisors (NAPFA) that constituted the largest network of independent financial planners who were paid directly by their clients to provide financial advice. (What a novel idea, huh?) Instead of being a commissioned agent of a company and having incentives to recommend what would make the most in sales commission, they took a fee for their services and attempted to provide financial planning as objectively as possible. In addition to that, they valued competency. I found that you couldn’t even be a publicly listed member of NAPFA unless you were a CFP®, which takes multiple college-level training courses, a 6-hour comprehensive exam, and 3 years of experience working with people on their finances. Also, every member signs a fiduciary oath to always act in every client’s best interest. I had made solid contact with the ball. From that point on, I knew where I wanted to go - now it was just a matter of getting to home plate: I wanted to work as a fee-only financial planner and become a CFP® certificant. I wanted to number myself among that minority of financial advisors whose first intent is to help people with high-quality advice, with as little conflicts of interest and ethical gray areas as possible. As time went on I also found out that most fee-only financial planning and wealth management firms focused on serving high net worth families and the richest of the rich. In fact, the reason they couldn’t work with anyone besides that is because they only made their fees from a percentage of the investments they managed for their clients. If a client doesn’t have enough money for the advisor to invest, it can’t generate enough of a fee to justify working for that client. This didn’t sound appealing to me. Even if it did, I soon found that there were very few fee-only financial planning firms in the state where I lived, sadly enough. But I did realize through all this that I had a great desire to help my peers - middle-income people in their 20’s and 30’s. 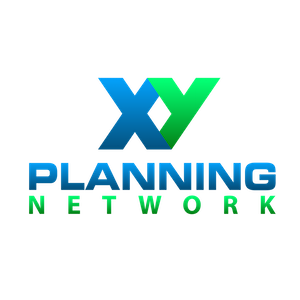 Luckily, I found out that there was another network of fee-only financial planners that was growing rapidly - the XY Planning Network (XYPN). Financial planners in XYPN help those in Generations X (born about 1961 to 1980) and Y (born after 1980) by charging a monthly subscription to provide ongoing financial planning and coaching. This way, they could help people with their finances who hadn’t accumulated a large amount of assets yet. So I went to work! I graduated and took a job as a financial counselor at a local nonprofit to gain experience. Here, I provided financial planning education and counseling to young, low- and middle-income families. I also got to work with high-income people who had gotten into messy places through bad financial choices, as well as retirees who were considering retirement planning strategies using a reverse mortgage. These experiences gave me great insight to how people think, feel, and act regarding their money, and how financial planning works in all stages of life and in any socioeconomic status. I saw that no matter how much money one makes or how much they know about it, money causes a lot of stress, time, and pain that takes away from our ability to live our lives the way we truly want. While I gained that experience, I passed the exam to become an Accredited Financial Counselor (AFC®), and then studied and passed the comprehensive Certified Financial Planner (CFP®) exam. (Another year of experience and I will be fully certified as a CFP®). That brings me to now. I’m now licensed as an Investment Advisor Representative in the state of Utah and founded my business, Wealth Mode Financial Planning. Through having my own financial planning firm, I am able to bring objective, valuable financial advice to my peers in Generation Y.
I believe that we need financial planning, from early on, more than any other generation in the past. Our financial lives are just way more complicated than any other generation before us! The financial decisions we make now will affect us for a long time. We have a lot of student loan debt. Most of us don’t have pensions, and if they do, they won't cover us completely in retirement. A lot of people don’t think we’re going to have Social Security benefits, or at least a lot less of it, by the time we're retired. We have to invest on our own. We change jobs more frequently in the first 10 years than prior generations did in their entire career. We’re buying homes at a later age than our parents did. We still want to start families. Our financial lives are difficult, and never stop changing! And yet, we still want to have great experiences, fulfill dreams, and check off bucket-list items. I want to navigate my financial life right, and help others do the same. Only good financial planning will help you navigate all of that (whether you do it yourself or not). I want to help hard-working young professionals and families use money as a tool to make their life awesome now and later, and achieve their own version of wealth. Henry David Thoreau defined “wealth” best when he said: “Wealth is the ability to fully experience life.” That’s what Wealth Mode is to me - assurance that your smart financial decisions are helping you to have, and fully enjoy, the experiences that will matter most to you.